We have a confession: we’re into bonding. Colour bonding, that is. And we’re sure you will be too, once you discover the amazing benefits that our new colour bonding service can have for your hair. We’ve introduced L’Oréal Professionnel ‘s renowned Smartbond treatment into our salons, and it’s set to revolutionise your hair colouring experience. But what is colour bonding, and why is it so important? Read on to find out. All of our strands of hair have bonds in them, which link and support the fibre of our hair. During lightening, the bonds traditionally became damaged, which in turn weakens the hair. 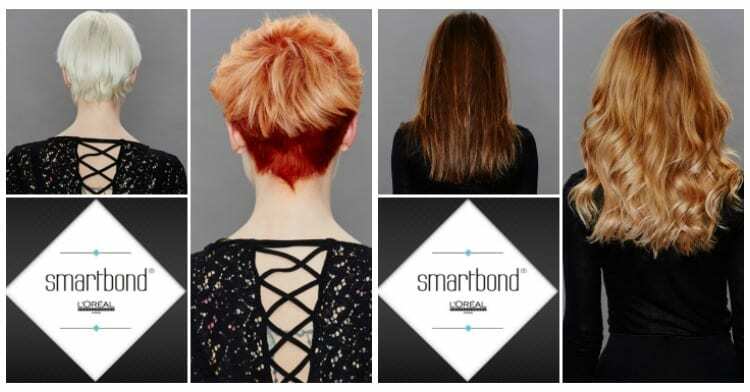 Colour bonding treatments such as Smartbond have been scientifically designed to protect the bonds in our hair, allowing the stylist to prevent the usual damage that is caused during a colouring service. 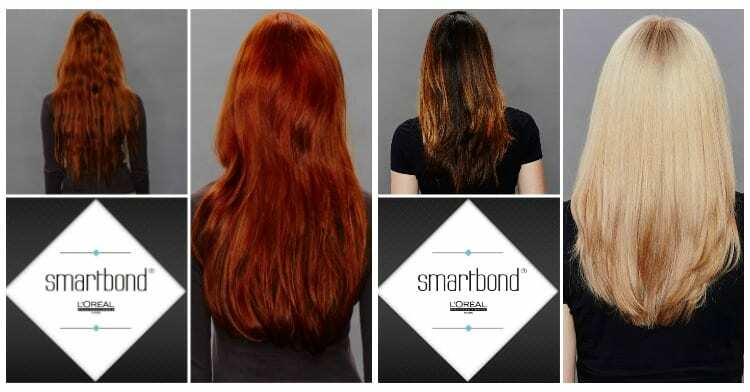 SmartBond is a simple two-step process that easily fits into your normal colour service. Your stylist will mix the first treatment in to your usual colour or lightener. This helps to protect and strengthen your hair while the colour itself takes effect. Worried about this adding time on to your treatment? 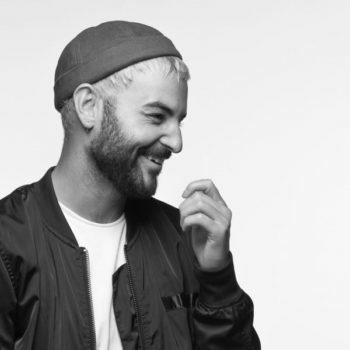 You’ll be happy to know that it doesn’t increase the development time at all, and simply works alongside your colour to leave hair in great condition. Next, your stylist will apply a pre-shampoo treatment after rinsing the colour from your hair. This finishing product fully rinses away any chemical residue, which otherwise could have been left to weaken your hair. After these two steps, there is also a take-home conditioning treatment that you can use weekly. This will help to continuously strengthen the fibres of your hair in between your colour appointments. Because of the transformative nature of colour bonding, many salons add a considerable charge for services such as SmartBond or Olaplex. However, as the colour experts, we think that all of our guests should have the opportunity to improve their hair’s strength and appearance. Because of this, prices for Smartbond in Regis will only start from £10 when you’re having a colour service. 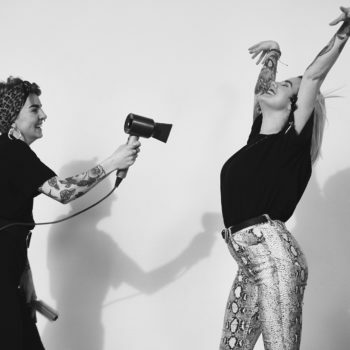 What’s more, you can also have the treatment independent of a colour service for just £15 – a great way to strengthen your hair in between colour appointments! Colour bonding is an incredibly simple system that makes a huge difference to the condition of your coloured hair. With Smartbond now available in all Regis salons, you can say hello to your healthiest hair ever. 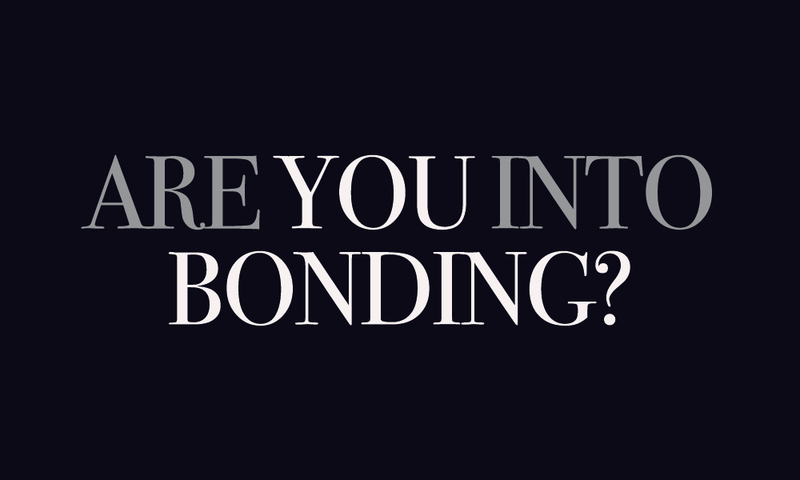 Get in touch with your local Regis today to book in for your bonding.